We promote environmental awareness by serving teachers, natural resource managers, nature center staff and environmental program managers with training, conferences, publications, programs and other resources. 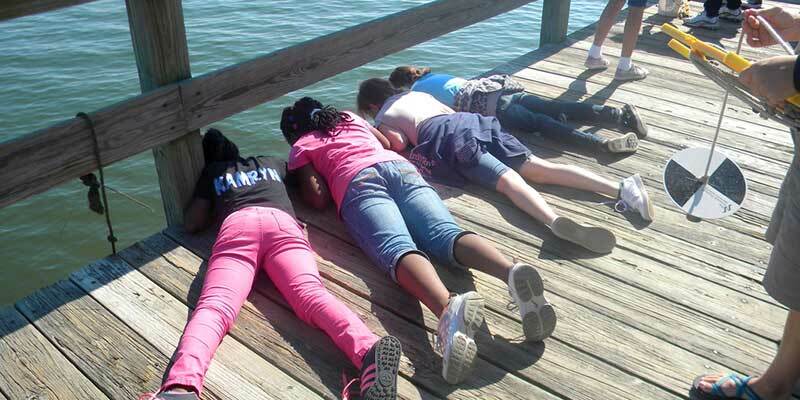 This support of Maryland's environmental educators enables students to explore, investigate and act to improve the health of their schools and surroundings. In addition, meaningful change is the goal of MAEOE's collaboration with other environmental organizations to produce educational programs and promote environmental literacy throughout Maryland. A major focus for MAEOE is managing and operating the Maryland Green Schools and Green Centers Programs. This initiative involves training Green Centers and Green Leaders to support teachers and students to implement sustainable activities. These activities include planting and increasing riparian buffer zones, recycling and reducing school waste and identifying cost saving energy measures. The MAEOE Conference is three days every February that brings together over 500 environmental educators from across the region for professional development and sharing of knowledge. The Maryland Green Schools Youth Summit is a celebration each May for schools that have successfully met the requirements to become a certified Green School. MAEOE is a leader for environmental, outdoor, and natural resources education and programs.